Raphael Varane has insisted that he is happy at Real Madrid. 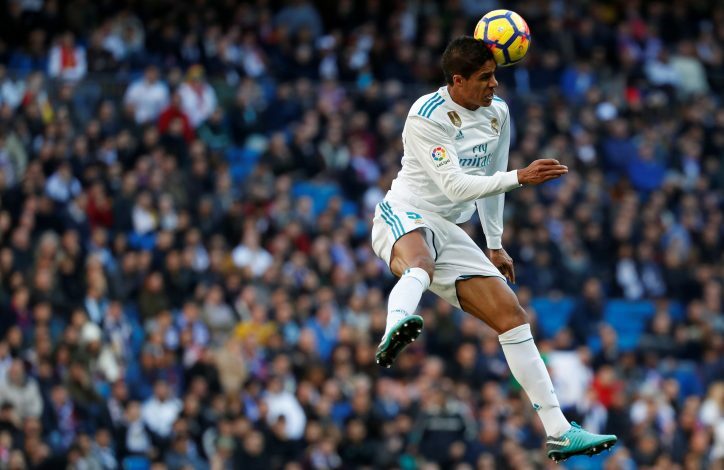 Amid what has been a disastrous season for the Spanish capital club, Varane has been heavily linked with a summer exit. Multiple sources have indicated that a move to Manchester United remains a major possibility. The Red Devils have been targeting several centre-backs, so as to resolve their defensive issues and bring a proper leader into the heart of their backline. The Mancunian outfit’s executive vice-chairman Ed Woodward seems to have already conceded that Varane is the sort of player the club would spend big bucks on, with even a £100m transfer fee being dubbed as completely justified. Amid all the speculation surrounding his future, the France international has finally had his say on the matter. The 25-year-old has admitted (via M.E.N. ): “To say that I am not happy at Real Madrid is not true. I’m at Real Madrid. The biggest club in the world. I’m constantly in a state of challenging myself because the requirement here is that of the highest level. “I’m focused on my career. We had a tough time in the middle of the season where we had to fight. I’ve given my all in this shirt and I can be proud of that. I cannot control everything that’s said [in the media]. Many things aren’t right but I can’t say I’m unhappy in Madrid.